No-commission stock trading app Robinhood will let you buy and sell Bitcoin and Ethereum without any added transaction fees starting in February, compared to Coinbase’s 1.5 to 4 percent fees in the US. And as of today Robinhood will let all users track the price, news, and set up alerts on those and 14 other top crypto coins, including Litecoin and Ripple. By essentially using crypto trading as a loss leader instead of its primary business like Coinbase and other apps, Robinhood could substantially expand beyond the 3 million users it already has. Simplifying trading and tracking could bolster Bitcoin and Ethereum. And by combining it with traditional stock, ETF, and option trading in a single app, Robinhood could further legitimize the cryptocurrency craze. The two trading worlds could cross-pollinate, dragging even more people into the crypto scene. Many of the startups dealing in crypto are upstarts with questionable track records. 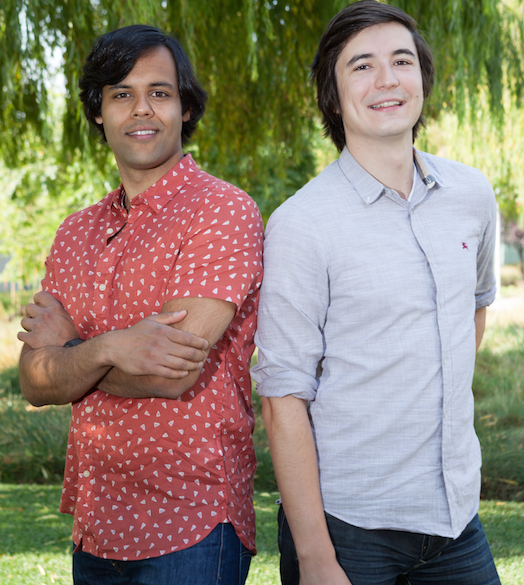 But five-year-old Robinhood has raised $176 million from top investors including Andreessen Horowitz, Index, and NEA that now value the company at $1.3 billion. There’s clear long-term benefit to rolling up crypto traders and using the feature as a wedge to get them to hold money with Robinhood where it earns interest, and pay for the Robinhood Gold premium tier for $6 to $200 a month that lets them borrow between $1,000 and $50,000. Here’s how Robinhood Crypto works. You can instantly transfer up to $1000 from your connected bank account (more if you have a Gold membership), with additional funds coming over slower ACH transfer. For smaller traders, that could eliminate the annoying delays on other platforms that can make you miss a low price you want to buy up. The whole Crypto section of Robinhood is styled with an 80s Tron design to denote the 24-hour trading window, compared to its day and night themes for when traditional stock markets are open or closed. When you place a buy or sell order, Robinhood gives you an estimated price, connects to a slew of trading venues, exchanges, and market centers to find the lowest price, and uses its economies of scale to improve to score better prices over time. To counter market volatility, Robinhood puts a “collar” around your trade so if it can’t execute it at close to the estimated price, it waits for the price to return or lets you know. And in case the price of a coin skyrockets or plummets, you can place limit orders to set a price where you automatically buy or sell. The full list of coins you can track is Bitcoin, Ethereum, Bitcoin Cash, Litecoin, Ripple, Ethereum Classic, Zcash, Monero, Dash, Stellar, Qtum, Bitcoin Gold, OmiseGo, NEO, Lisk, and Dogecoin. To back-up the new Robinhood Crypto feature, the company is adding new two-factor authentication options including integrations with authenticator apps to ensure people don’t get their wallets stolen and dumped. “There are several senior world-class people that we’ve hired recently that are building the system in-house” says Tenev. Still, the move paints a giant target on Robinhood’s back. If the company gets hacked, or individual users get robbed, it could tarnish the fintech startup’s reputation. Demand for the product was clear, though. 100,000 of Robinhood’s users were regularly seaching for crypto pricing and trading in its app, and 95% of those surveyed said they’d invest in cryptos if the product supported it. Robinhood even had to send a cease-and-desist to “Cobinhood”, a competing crypto trading app that cribbed its name and raised $10 million in an ICO. Judging by the choices of two top startups, you could see this week as a sign of cryptocurrency’s shifting purpose. Yesterday Stripe removed Bitcoin as a payment option on its platform, and now Robinhood is adopting trading. “People are thinking about cryptos less from a payments standpoint and more from an assets investment standpoint” Tenev explains. As for whether he’s personally invested in the crypto scene, Tenev admits “I’m a dabbler, definitely, but I wouldn’t say that it’s all that significant.” But it’s a good fit for his business, which used a lean engineering team to drop stock trading fees to zero while competitors like Scottrade and E*trade can charge over $6 per trade to cover their marketing and expansive retail footprint with huge overhead. Now Robinhood has handled $100 billion in transactions, saving its users over $1 billion in fees. “[Cryptocurrency] puts power that’s historically been held by financial institutions in the hands of the people. I think that lines up directly with Robinhood’s mission to democratize the financial system” Tenev tells me, concluding “We’re an established company and we can handle it”. The confidence to burst into the wild west of crypto could either tank his startup with a massive security fail or greatly boost its traction by alligning with what’s become a cultural phenomenon. Disclosures: The author of this article owns small positions in Bitcoin and Ethereum, and knows Robinhood’s founders from college.